New Orleans Saints - blackandgold.com - NEWS Drew Brees will appear on Madden 2012 cover! 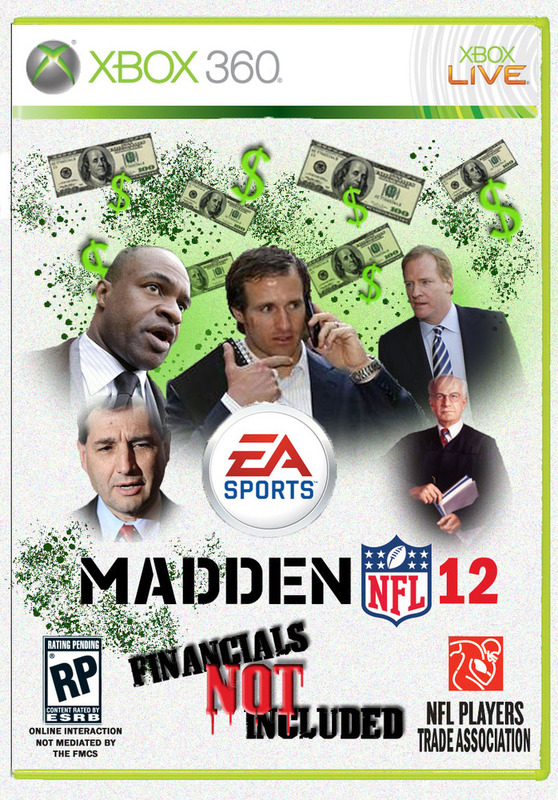 Drew Brees will appear on Madden 2012 cover! This just in, Drew Brees will grace the cover for a second year in a row. Details in the link provided! Ok, so it was a joke... Still, even though I hate that Drew is being demonized for fighting for what he believes in, you have to admit, this just about sums it up. Decently amusing. The game would still come out even if no season. All it needs is the drafted players. I bet it would sell more than any other Madden game for the novelty of no season and fans trying anything to get their fix. I stopped playing after college but I'd buy it. That's great. Too bad I don't play Madden games. Hell Yeah ! ! ! glad to hear this ! I love me sum madden n def with Drew on the cover again !!! EA Sports got sum taste !!! This can't be real...can it? I haven't bought a video game in years. I'd buy that one.